Heading into UFC 193, all was right in MMA. Ronda Rousey was the queen and Conor McGregor was the king of the sport. Rousey was the women’s bantamweight champion heading into her title defense against Holly Holm at that show. McGregor would then fight a month later in a featherweight title unification bout against Jose Aldo at UFC 194. It was a foregone conclusion Rousey would run through Holm. Many were already booking Rousey’s next fight at UFC 200 against Cristiane “Cyborg” Justino. There were doubts McGregor would beat Aldo. The Brazilian was the No. 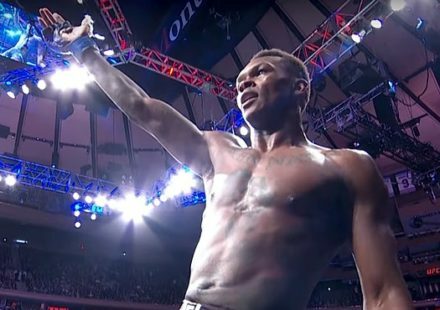 1 pound-for-pound fighter in the UFC rankings, had won 18 consecutive fights and made seven straight title defenses. The risk was there for McGregor’s star to fall and Rousey’s to continue rising if that was at all possible. Then UFC 193 happened. Holm, who was down to a 7-to-1 underdog by the time she stepped into the Octagon, shocked the world and knocked out Rousey to win the title. McGregor held up his end of the bargain, knocking out Aldo in 13 seconds to become the unified featherweight champ. Since the loss, Rousey’s life has gone on a downward spiral. Fellow fighters, including chief rivals Justino and Miesha Tate, have reveled in the fact she lost. Even celebrities like Donald Trump and Lady Gaga took solace in the fact Rousey got knocked off her perch. When she returned from Australia and landed at Los Angeles International Airport, throngs of media were trying to take a picture of Rousey’s battered face. Articles have been written on how she’s a fraud, how she got exposed by Holm, is a one-trick pony and needs to fire her longtime coach Edmund Tarverdyan. After McGregor knocked out Aldo, everything became ducks and roses. Those who bashed the “Notorious” one in the past were now on the bandwagon telling him how great he was and they were wrong about him. People were now declaring McGregor as the biggest star in the sport at the gate and the box office. How do these results of the last four weeks affect the UFC and the sport as a whole? The fall of Rousey hurts and hurts badly. Women’s MMA was once viewed as nothing more than a novelty with men hooting and hollering because they were beautiful. You had Gina Carano, but once Justino smashed her face in, she bolted to Hollywood and hasn’t been returned to the sport that made her. She wasn’t just a pretty face. She knew how to talk. No offense to Holm and the other women in the sport, but they just don’t have that “it” factor Rousey possesses. They don’t have the total package Rousey has to take the sport further once she leaves the sport. Her reach is something we have never seen before and perhaps will never see again. In an interview with ESPN The Magazine, Rousey proclaimed if she doesn’t beat Holm in the rematch — a fight targeted for UFC 200 in July — then she will retire. We better enjoy her while we can and the UFC better hope Rousey wins the rematch. Rousey holds three of the five largest pay-per-view buyrates of the year. Her fight with Cat Zingano at UFC 184 generated around 650,000 PPV buys, the fight with Bethe Correia at UFC 190 did about 900,000 buys and the fight with Holm did around 1.1 million. The rematch is expected to break the UFC record of 1.6 million set at UFC 100. 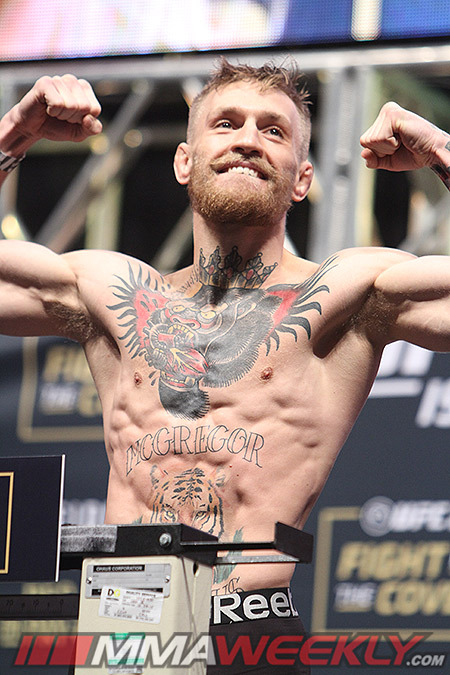 Conor McGregor’s rise is a game changer. A fighter usually doesn’t get to call his own shots, but the Irishman is in a league all by himself. He made MMA a hotbed in Ireland, where soccer and rugby have been king. He sold out the TD Garden for his Fight Night bout against Dennis Siver. His fight with Aldo drew a $10.1 million gate, breaking the all-time U.S. record of $7.2 million that he set in July for his UFC 189 fight against Chad Mendes. He’s beaten every fighter people said he couldn’t beat and McGregor’s not just winning by decision, he’s doing it in style. 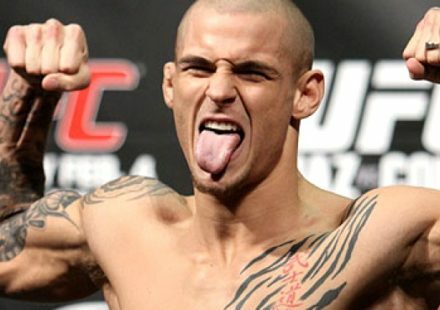 He set the record for most viewers for a UFC event on Fox Sports 1, drawing 2,750,000 million people for the Siver fight. The Mendes fight did around 825,000 PPV buys and, according to UFC Senior Director of Public Relations Dave Sholler, UFC 194 was tracking to be the biggest of the year and possibly of all time. UFC CEO Lorenzo Fertitta told ESPN.com on Tuesday, McGregor will be the first fighter to eclipse the $100 million mark. That is something unheard of in this sport. Rousey would have been the first name in that statement but it shows what one loss and an exit plan can have. 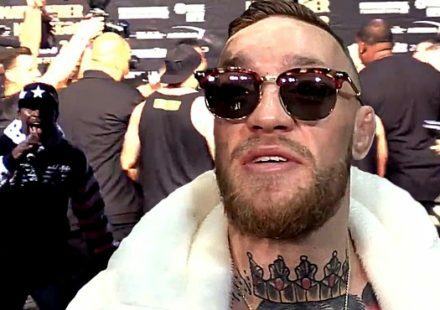 McGregor has stated he is negotiating a new contract with the UFC. Rumors are they aren’t going well and McGregor is looking for an average of $20 million a fight. Based on what he has done this year alone, he deserves it. All fighters should be making more money. They put their lives on the line every time they step inside the cage. If McGregor can get what he wants, it shows the world these companies have the money and should compensate the fighters better. McGregor and Rousey are the two biggest names in the sport today. They have provided the biggest financial numbers in 2015. When they fight, people tune in and in droves. But you see people starting to believe more in McGregor than Rousey. He is brash, but backs up everything he says and has a whole country behind him. During the build-up to the Holm fight, Rousey boasted about how she makes her opponents richer and how she’s the best fighter in the world. She carries herself in a way that some see as strength, but many see as arrogant. Rousey still hasn’t congratulated Holm on her victory, where as McGregor, belying the build-up to the fight, was respectful to Aldo and said what a great champion he was. The Rousey era is over and the McGregor era has begun. Sit back and enjoy. The sport is about to change as we know it.